If you have diabetes, you are likely to develop coronary heart disease than someone without diabetes. This is because Type 2 diabetes, caused by insulin resistance, is linked with a high risk of developing coronary artery disease. People diagnosed with Type 2 diabetes frequently have high cholesterol levels that may lead to arterial clogging. When the coronary arteries become clogged with plaque the heart is deprived of oxygen, which ultimately results in angina, arrhythmias, a heart attack or even death. It is important to take action to manage multiple risk factors to help improve your outlook. The good news is that sustained lifestyle modifications coupled with pharmacological interventions can go a long way to help control multiple risk factors. Cholesterol reducing drugs like statins, clot-preventing agents such as aspirin and ACE inhibitors are the first line of treatment for hypertension and the abnormal amount of lipids. Following a heart-healthy diet, being physically active, quitting smoking, managing stress and taking medications can help control blood sugar levels, lower blood pressure, reduce the risk of blood clots, improve blood cholesterol levels, reduce the heart's workload and treat angina symptoms. Some may need a Coronary revascularization, which is accomplished by an angioplasty or a Coronary artery bypass grafting surgery to restore blood flow through the arteries, relieve symptoms and improve overall survival. If you have Diabetic coronary artery disease you may have no signs and symptoms of heart disease. Few others may have some or all of the typical symptoms of a heart disease. If you experience any of the following symptoms it is important that you seek immediate medical care. Statin, the cholesterol lowering drug may cause muscle pain and weakness, liver dysfunction, digestive problems, memory loss, loss of mental clarity, nausea, irritability and short tempers. However, these complications are rare. Aspirins that inhibit the formation of blood clots can cause gastrointestinal ulcers, bleeding in the stomach, nausea, unavoidable burping and vomiting. Rarely, some may develop an allergic reaction to aspirin. While complications of Coronary revascularization (bypass or angioplasty) are rare, it may include bleeding, abnormal heart rhythms or kidney failure. It can induce allergic reaction to the dye in the case of angioplasty or cause infection at the incision site in the case of Coronary bypass surgery. 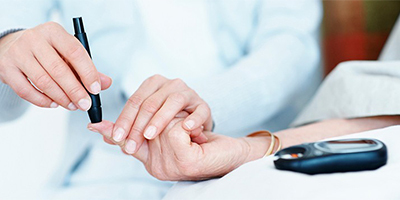 Diabetes is a major risk factor for the development of Coronary artery disease. However, simple lifestyle modifications, strict glycemic, pressure and lipid control may be of crucial importance for risk reduction. Improvements in angioplasty and coronary artery bypass graft surgery also leads to better results in diabetic patients. If you have diabetes, it is very important that you take special care of your heart. Remember, you can live a long and heart-healthy life by managing the ABC’s of diabetes – A1C, blood pressure and cholesterol. Yes, the sooner you start incorporating a heart-healthy lifestyle the more of a difference you can make.